No big surprise that the large trout are in the bay now. Fish clear water along the grass beds and you should do very well. The trout are still big and remember to let one 20" to 24" go per boat. That will do wonders for the future of this great national resource we have. 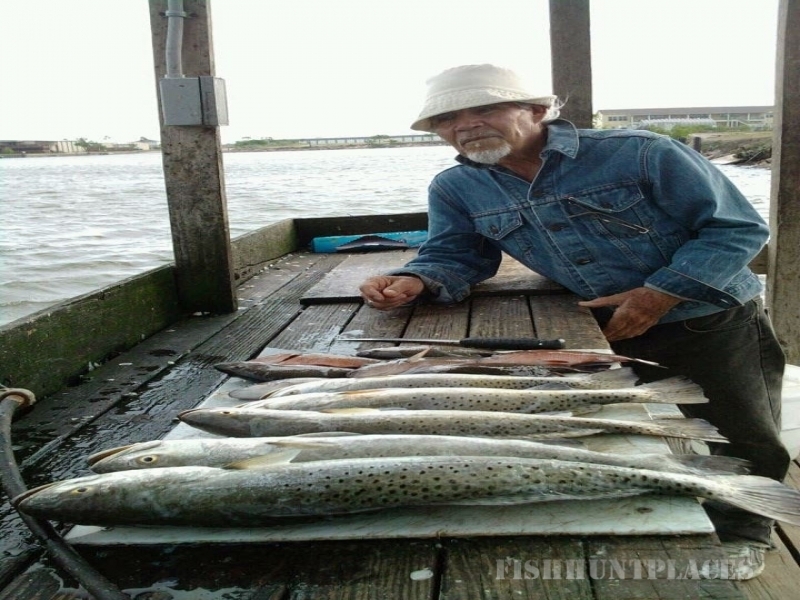 The bait fish (mullet) have entered the Lower Laguna Madre (LLM) and red fish have followed them in just waiting to challenge your angling skills. Night is ON! Don't forget that the flounder are here, but the limit is different. Flounder special regulation, make sure to look it up. Bounce a lure on the bottom once in a while, and hold on. The trick this month (July.) is fish the New moon. A good number of red fish in the bay are hitting almost anything. We're still getting top water lures and with live mullet. At this time we have found them in shallow waters early in the morning and they still like to patrol the edges of the channel. Check out "the Aggie Deer Blind" and move north east. Stop at the Aggie Deer Blind, should have your limit and it's catch and release time "CRT" by now.